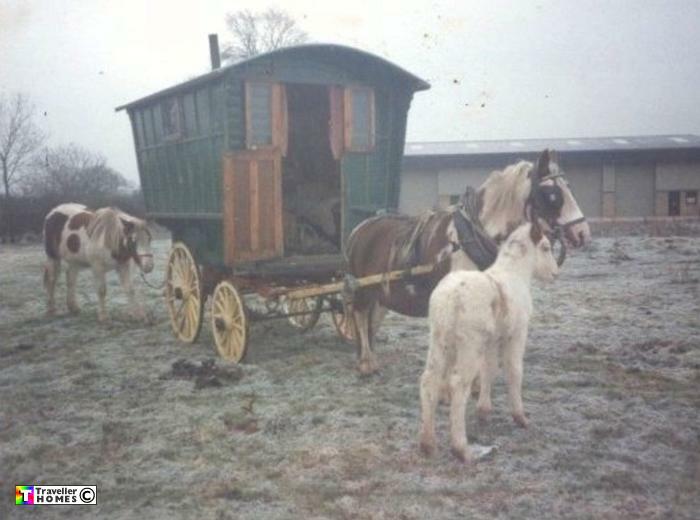 Wooden Wheeled Ledge Waggon & Mare With Foal . Seen 1992 Newent . Photo = Anna .